Stunning eruption footage from around the world by Maurice Krafft - produced for UNESCO and IAVCEI to help save lives. This 25-minute video features stunning images of seven types of volcanic hazards: ash falls, hot ash (pyroclastic) flows, mudflows, landslides, volcanic tsunamis, lava flows and volcanic gases. This program is intended to help prevent future deaths from volcanic eruptions by showing compelling images of destructive volcanic activity. The late Maurice Krafft produced this video for IAVCEI and UNESCO. 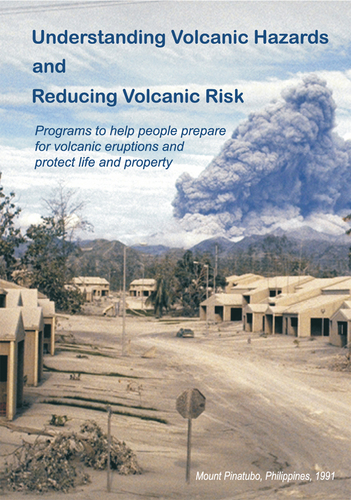 This 23-minute program is designed to prevent volcanic eruptions from becoming volcanic disasters using three steps: identifying hazardous areas, monitoring volcanoes, and developing and testing an emergency plan. Examples from around the world - Japan, Columbia, Papua New Guinea, the Philippines - are used to show how these steps are needed to save lives during volcanic emergencies.